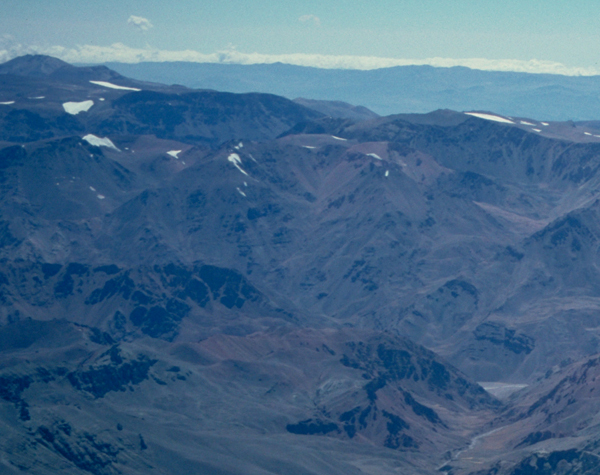 Tigre is the second highest peak in the Cordon del Tigre near Mendoza. It can be climbed in a long day from Casa de Piedra in the Vacas valley on the walk-in to the Plaza Argentina base camp on Aconcagua. Tigre from the 5100m camp on Aconcagua. We can organise guided ascents of this peak, and others in this area including Aconcagua. For details of how to climb Tigre and neighbouring peaks please see our guidebooks, which are available in English, Spanish, Polish and French editions, direct from us or from all good bookshops and mountaineering shops.